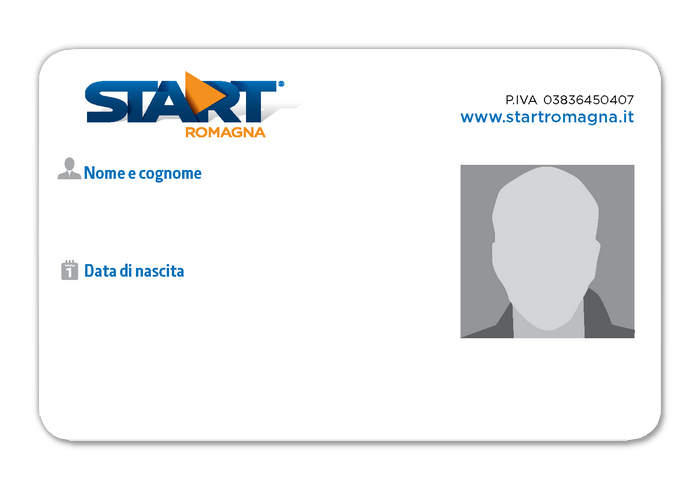 Start Romagna offers various types of passes: monthly and yearly, in order to meet the needs of all users. Check out the single solutions proposed, to verify the validity of passes for every single area. 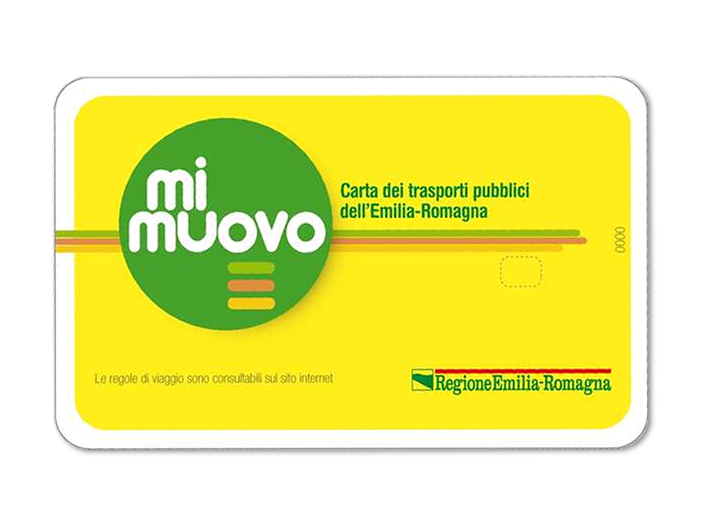 The microchip card Mi Muovo is required for all the Start Romagna monthly, annual, students and Under 26 passes. The card is strictly personal, valid for 5 years and is issued at a cost of € 5.00. For the card issue, a recent photograph is required. Attention! The replacement free of charge occurs only in the case of illegible card and not in case of damaged card. In case of damage, theft or loss of the card and of the subscription, you can get a duplicate by submitting at Start Romagna ticket office copy of the complaint sent to the competent authority or competent authority or appropriate self-certification of pass holder or by the person exercising parental authority, if underage. The cost of the duplicate of the card is € 5.00. Monthly passes are valid from the day they have been validated (printed on the back with the validating machine) to the last day of the month of validation. They are personal and must be accompanied with the Mi Muovo card issued by the ticket offices of Start Romagna. They make it possible to travel with all means within the number of areas shown on the pass. Number of valid areas, Personal Identification Card number, Surname and Name. Each area has a different colour in order to distinguish the tickets at first glance. Follow the colour and find your area! Forlì-Cesena , Ravenna or Rimini . If the card is loaded anywhere from the 1st to the 21st day of the month, validity will start from the 1st day of the present month. If the card is loaded from the 22nd day to the last day of the month, validity will start from the 1st day of the following month. Soon, it will be also possible to renew online in this website and, at ATMs belonging to the main credit institutions. Paper passes must be filled in by the user, must be validated on first use and accompanied by the card Mi Muovo. They make it possible to travel within the area 860 referred to the city of Forlì (area of Forlì-Cesena). Paper passes must be filled in by the user, must be validated on first use and accompanied by the card Mi Muovo. They make it possible to travel within the areas 880+881 referred to the cities of Forlì and Borello (area of Forlì-Cesena). if purchased on the day 21st or later, they are valid from the first day of the following month. 12 months means the end of the 11th month following the month of purchase. Passes valid for one year (12 months), starting from the 1st day of the selected month. They are personal and make it possible to travel with all means within the area 860 referred to the city of Forlì (area of Forlì-Cesena). Passes valid for one year (12 months), starting from the 1st day of the selected month. They are personal and make it possible to travel with all means within the areas 880+881 referred to the cities of Cesena and Borello (area of Forlì-Cesena). Abbonamenti con validità 365 giorni dalla data prescelta. Sono personali e consentono di viaggiare con più mezzi nell’ambito del percorso indicato sulla tessera. ** Per poter usufruire della tariffa agevolata per redditi inferiori a € 30.000 è necessario portare copia della certificazione ISEE del nucleo familiare. *** L’abbonamento viene rilasciato al terzo figlio abbonato, appartenente ad un nucleo familiare residente nel comune di Forlì o Cesena dove altri due figli sono in possesso di un abbonamento Under 26 Start Romagna. Dedicated to those who have turned 70 years old. Valid for 12 months, starting from the 1st day of the selected month. Yearly passes are personal and make it possible to travel with all means within the entire network belonging to the area of Ravenna. They are sold at the Punto Bus of Ravenna (the electronic ones are directly loaded in the Mi Muovo card) and at the ticket office of Corso Saffi 46 in Faenza (the paper ones must be shown together with the Mi Muovo card). Passes valid for one year (12 months), starting from the 1st day of the selected month. They are personal and make it possible to travel with all means within the route shown on the card. They are sold only at Start Romagna ticket offices and are dedicated to employees of companies which have endorsed an agreement with Start Romagna – Area of Ravenna. In order to be issued, a recent passport photo is required. Important news for the integrated train and bus subscriptions in force from 1st September 2018: find out here all the information and the new advantages of the regional project "Mi muovo anche in città".